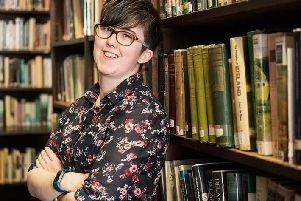 Teenagers and young adults will help steer a £1.3m Council-led programme of events in 2019 in what has been earmarked a dedicated year of youth in Derry and Strabane. Members of Derry City & Strabane District Council’s Health & Community Committee have been advised the investment in ‘Youth 19’, as it’s been branded by young people themselves, is about making the upcoming generation feel more respected and encouraging them to become more active and engaged citizens. Claire Lynch, DC&SDC’s, Children and Young Peoples Coordinator, told the committee that the programme, which is being co-designed by young people, will feature a number of ‘highlight’ and ‘golden’ events throughout the course of 2019. Existing festivals and events, meanwhile, will also be ramped up with a new youth focus in 2019. The initiative will promote positive health and wellbeing, meaningful engagement and participation of young people in civic events, and the development of skills and the provision of clear career pathways. DUP Alderman Hilary McClintock welcomed what will amount to a £1,395,202 investment from a variety of funding sources next year. Sinn Féin councillor, Eric McGinley, said the initiative complemented the Council’s live bid to attain Unicef Child Friendly Community status. Colr. McGinley, who on the morning of the committee meeting joined Unicef UK’s Chief Operating Officer, Mark Devlin, and the Northern Ireland Commissioner for Children and Young People, Koulla Yiasoumma, aboard the Unicef Clipper for the launch of the Unicef-bid said he was pleased young people would be taking the lead during Youth 19. Colr. McGinley said that while adults had been present on the Clipper it had been encouraging to see young people steering the yacht on the River Foyle, suggesting this was an approporate metaphor for what will take place next year. SDLP councillor, Tina Gardiner, said it was important young people were involved in the co-design of the project, especially after the events of the past couple of weeks when it became apparent a cohort of young people in the city were disengaged from civic life. She observed that sometimes the people who opted-in to youth programmes are not those most in need of engagement with them. Independent councillor, Gary Donnelly, agreed the scenes witnessed in the city over the past few weeks showed a significant number of young people felt marginalised and that this had been demonstrated by what he described as dwindling engagement with the Council’s local democracy programmes.